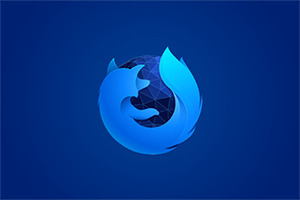 Firefox provides independence and opportunity to hundreds of millions of people around the world in more than 90 languages across desktop and mobile platforms. Our focus has been on building products that drive the competition, energy and innovation we all need to keep the Web open, everywhere and independent. 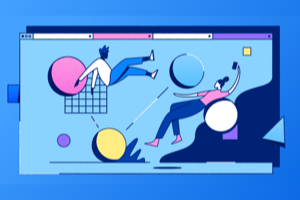 The Firefox browser, our flagship product, is the central platform we use to advance our mission to build a free and open Web. Firefox for Android, the mobile version of our browser, has been downloaded more than 80 million times. Firefox OS - the first truly open operating system for mobile devices - addresses the needs of the millions of people coming online for the first time via mobile devices. With the support of valued partners from across the mobile ecosystem, Mozilla continues to advance the Firefox OS smartphone development and adoption. Mozilla’s Webmaker program supports a growing global community dedicated to teaching digital skills and Web literacy with free tools and learning programs that fuel creativity for people of all ages. We believe that people need more than the right tools to take control of their online lives -- they also need the right skills and know how. Understanding how the digital world works is quickly becoming as important as understanding reading writing and math. Programs such as Knight-Mozilla OpenNews, Mozilla Science Lab, the Hive Learning Networks and Mozilla Advocacy all work to bring the strengths and values of the open Web to new fields, while working to protect a free and open Internet for everyone. We created a Content Services team to build user control, trust and transparency into personalized content and advertising services, Our Cloud Services team continues to build new services by introducing Firefox Accounts and Firefox Hello, the first global communications system built directly into a browser. In 2013, Mozilla’s many volunteer communities grew in both scope and effectiveness. Volunteers help translate our products and initiatives, making them locally-relevant worldwide; teach critical Web literacy skills to people of all ages and backgrounds; contribute code to our products, and advocate for effective policies to protect the free and open Web. We continually explore ways to support those contributors and inspire new ones to join. At Mozilla, we measure success by how much we improve the overall health of the Web and advance the interests of users and developers. We succeed when we build products that people love, and when other organizations incorporate the traits and features we care about into competing products. Unlike some, Mozilla achieves success by helping more people make choices about what software they want to use, what level of participation they would like to have online, and how to take part in building a better Internet. When we see growth in community contributors, new ways to engage in shaping the Web, software localizations, and a competitive browser market, for example, we know we are moving toward our goals. What was Mozilla’s total revenue for 2013? Mozilla’s consolidated reported revenue (Mozilla Foundation and all subsidiaries) for 2013 was $314M (US), as compared to $311M in 2012. How does Mozilla generate revenue? The majority of Mozilla’s revenue is generated from search and commerce functionality included in our Firefox product through all major search partners including Google, Bing, Yahoo, Yandex, Amazon, eBay and others. Mozilla’s reported revenues also include very important individual and corporate donations and grants, as well as other forms of income from our investable assets. Are you exploring partnership opportunities to diversify your revenue stream? We currently have several key business partnerships and are actively exploring new ones, as well as other potential revenue opportunities. We’ll continue to build great open source products that help people enjoy the richness of the Internet, and we’re confident that this allows us to identify appropriate sources of revenue that serve both the mission and our users. 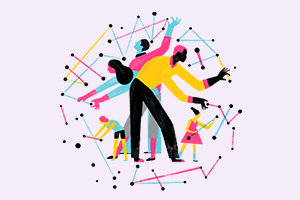 In addition, during 2013 and 2014, key Mozilla Foundation programs like the Hive, Open News and the Open Web Fellows Program have received generous new grants from organizations such as the the MacArthur Foundation, Knight Foundation and Ford Foundation. How does Mozilla spend its money? 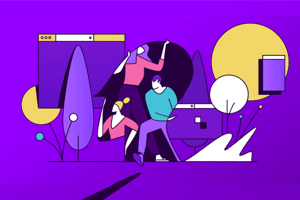 Mozilla invests in both products and programs that further our mission to keep the Web open and to retain our impact on the Internet landscape. Our operating investments in our product lines grew in 2013 by 40% year over year. This leaves us well positioned for future product launches and we will continue to negotiate revenue contracts to support our business needs. Over the last few years, Mozilla’s investment focus has been significant in new areas such as our mobile and cloud services products. In particular, the rapidly expanding launches of Firefox OS and significant upgrades to our Firefox for Android browser have advanced our goal of opening the mobile ecosystem for users and developers worldwide. Our investment in education and community programs grew 44% year over year. The largest areas of increased spending were the development of a grassroots digital literacy programs around the world and the creation of community-based research labs and fellowships focused on bringing Mozilla’s values and methods to education, journalism and science. Mozilla’s tax returns and financial documents from previous years are all available on this site. What is the status of the organization’s search partnerships? We no longer believe one global default search partner is the right choice for our users or the Web. Our new strategy gives us more opportunities to build connections between the browser, websites and services, and the treatment of data that advance our mission and values. The specific terms of our new commercial agreement are subject to traditional confidentiality requirements, and we’re not at liberty to disclose them.